Discover how smarter health and safety management could benefit your business. If you’re running a business with more than 20 employees, it could be time to ramp up your health and safety strategy. To learn whether you’re covering all the compliance bases, book a free onsite visit with a senior Southalls specialist - no strings attached! Our team is a business-minded blend of ex-enforcement officers and industry specialists with niche knowledge spanning every aspect of health and safety – from industrial noise and asbestos to explosive atmospheres and dangerous substances. Within your two-hour appointment, we’ll examine the effectiveness of your current approach and provide practical insight to help you reduce risk and realise business-wide benefits. Bookings of our visits are also simple and set around your schedule. Get in touch to request your complimentary visit and preview the power of best health and safety practice. Health and Safety offences can bring your business to a standstill. Earlier this year, The Times reported that stricter Sentencing Council guidelines have cost companies more than £54 million in penalties since 2016. Southalls’ bespoke services tackle sector-specific safety issues across warehousing and distribution, builders merchants, restaurants and hospitality, offices, metal and steel, construction products manufacturing and schools. Quick wins and long-term solutions to help achieve compliance, streamline processes and boost employee buy in. Let's discuss what’s working with your current approach – and how best practice could transform its effectiveness. Technology is transforming how work is carried out in every business. This presents a challenge for health and safety professionals as new working practices can bring additional risks to the workplace. 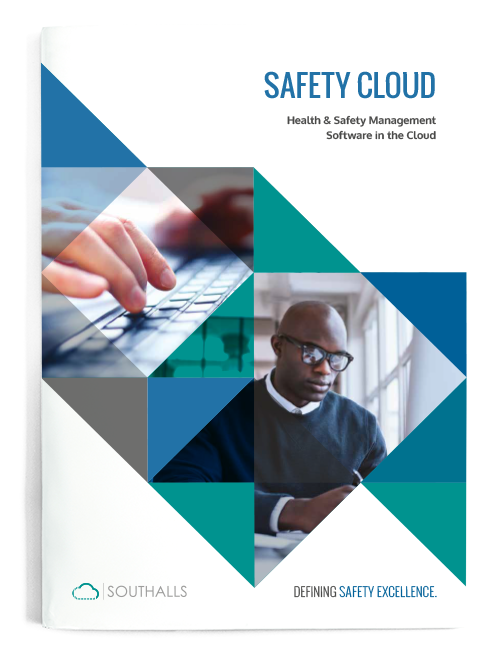 As the pace of change is so rapid, it's more important than ever to have robust documentation, processes and reporting in place to manage health and safety. Clear navigation and intuitive tools for effective H&S management via desktop, laptop, tablet or mobile. Tailored staff e-learning modules and personalised access levels for directors, managers and frontline staff. Key data, documents and reporting tools accessible within a few quick clicks. Straightforward scheduling and automated reminders - so critical assessments, audits and equipment checks are constantly monitored and never missed.